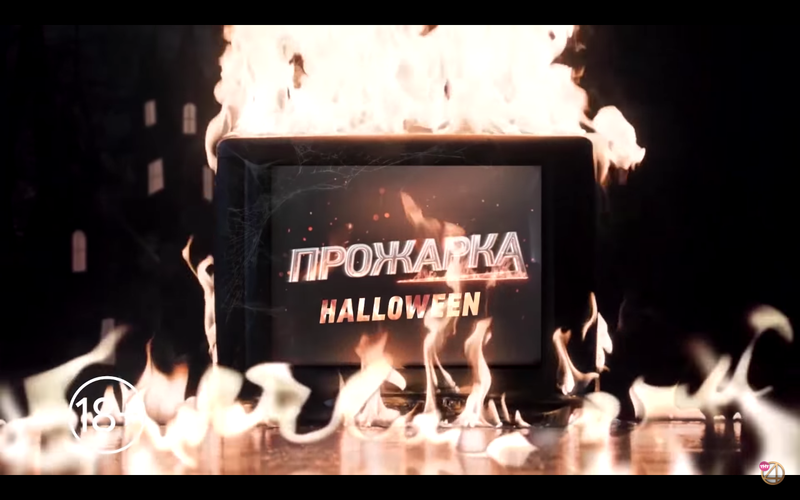 In Russia Halloween is a reason to have costume parties rather than a true holiday. 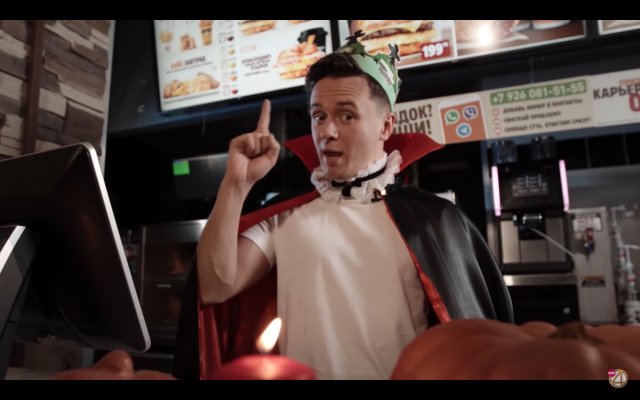 Burger King and its close competitors all have symbols that are not infrequently used as costume ideas for Halloween. 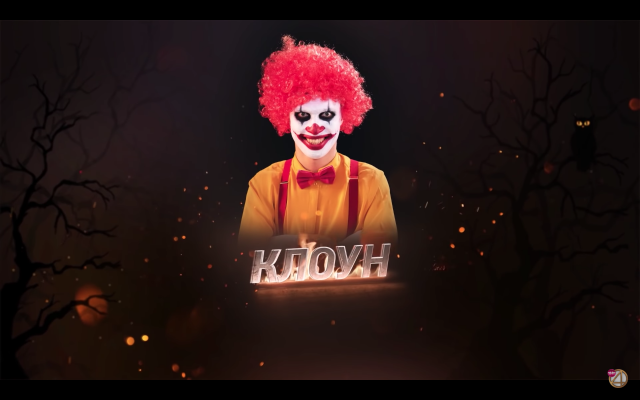 Burger King that has been making food over fire since 1954 decided to “roast” a clown as part of a special Halloween episode of TNT4’s show “Prozharka” – a popular comedian hate-show where celebrities learn what people actually think of them. To attract attention to a limited-time offer – legendary burger – and to do it in an unusual way, increasing the number of restaurant visitors in November. 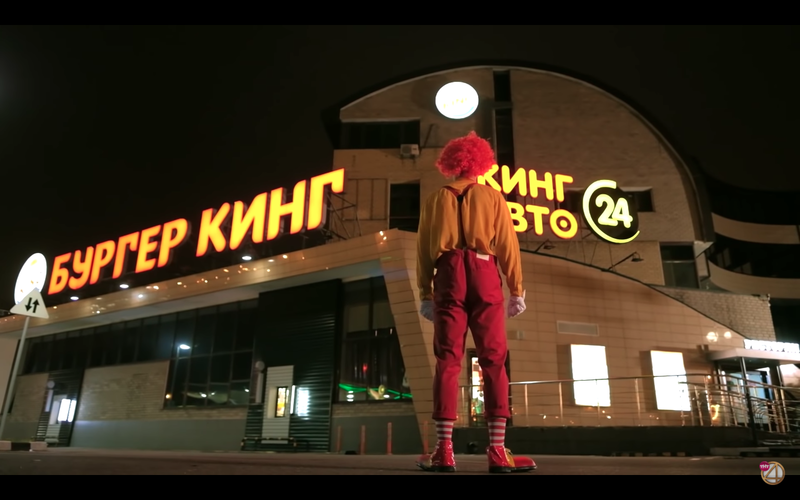 Right in the middle of a busy Burger King restaurant in Moscow comedians fried a Halloween version of the clown. 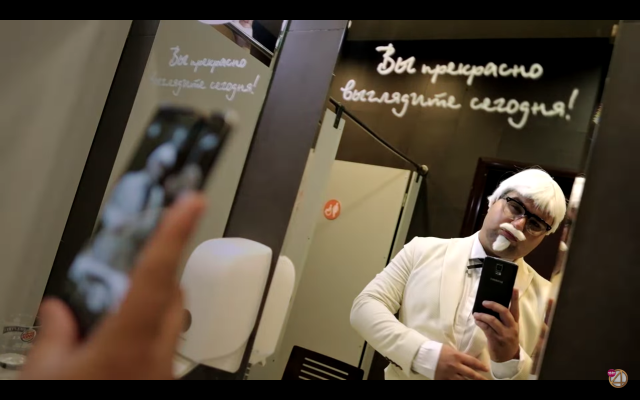 A special guest of “Prozharka” was an accidental passer-by in a white suit of a well-known colonel – a symbol of another competitor. Finally, the clown got a chance to fight back and share what he thought about people around him, Burger King and a new Nightmare Whopper.